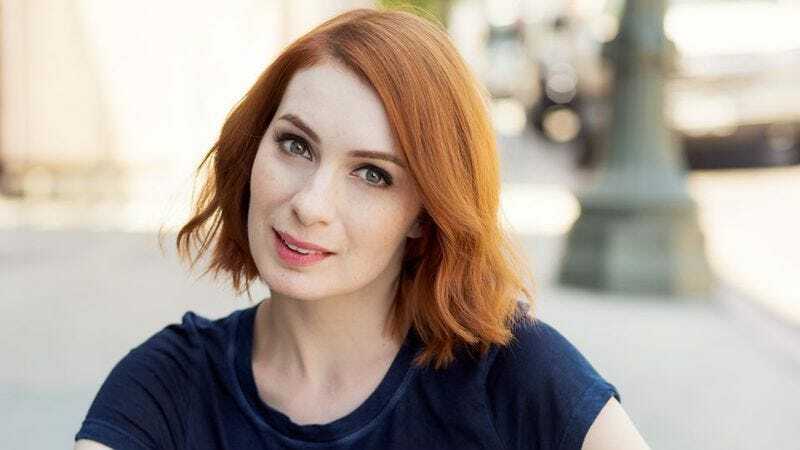 Team Hooman, Felicia Day’s online community devoted to “fixing the internet,” is celebrating its one-year anniversary on September 27. And while, to all appearances, the internet still seems to be a pretty aggressively broken place, the group is continuing to do its best to deploy the bandages and Superglue of awareness and charitable donations to keep things from cracking completely in two. Working with their parent company, Geek And Sundry, Hooman—which grew out of the communities surrounding Day and her brother Ryon’s Twitch accounts—is launching a new T-shirt campaign this week to commemorate the anniversary, with 10 percent of the profits going toward wildlife non-profit WildAid.org. In the meantime, Day and her cohorts continue their efforts to create spaces on the internet where people can talk for more than 20 seconds without being labeled with a racial, sexual, or homophobic slur, a Herculean task if ever there was one. “Team Hooman represents the best of the Internet,” Day said in a press release about the upcoming anniversary. “And I hope that fostering an online space that encourages people to feel accepted and celebrate their passions shows people offline that the online world can be a wonderful and positive place.” The possibly delusional actress and writer will be teaming up soon with fellow Positivity Elemental Chris Hardwick and his Nerdist organization for a livestream to raise money for the Children’s Miracle Network’s Extra Life program. We’re not exactly sure what the conversion rate is between “money given to charities” and “making up for a stoned frat guy calling a 9-year-old a dicknozzle over Xbox Live,” but it’ll presumably go some way toward healing the damage, at least a little bit.